Clockwise from top left: Lola Shoneyin, Ahmed Rajab, Henrietta Rose-Innes, and Alain Mabanckou. 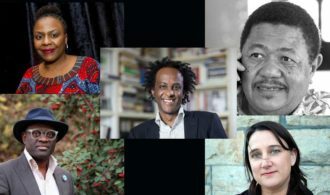 The Caine Prize for African Writing has announced the five judges for the 2018 edition of the prize. 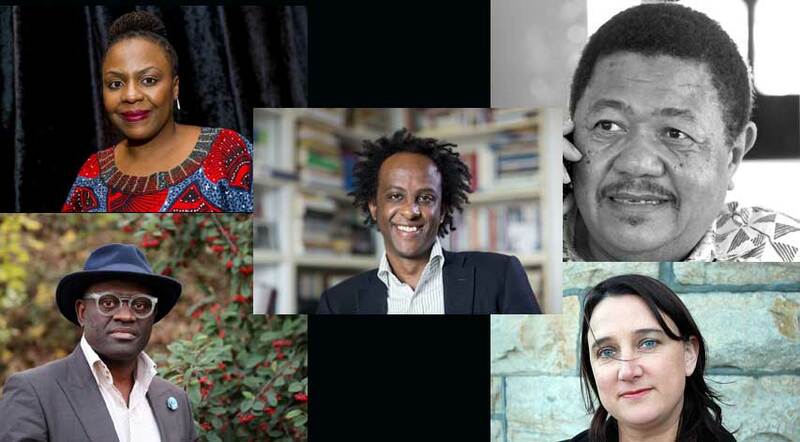 The Caine Prize for African Writing is one of the most influential awards in African writing. The Prize is awarded for a short story by an African writer published in English (indicative length 3,000 to 10,000 words). An African writer is taken to mean someone who was born in Africa, or who is a national of an African country, or who has a parent who is African by birth or nationality. Having started in 2000, the prize has recognised some of the most famous names in our industry today including names like Leila Aboulela, Helon Habila, Binyavanga Wainaina, Chimanda Adichie, Noviolet Bulawayo and more. In recent times, winners of the prize have been Bushra al-Fadil (2017), Lidudumalingani Mqombothi (2016), Namwali Serpell (2015), Okwiri Oduor (2014), and Tope Folarin (2013). Dinaw Mengestu is a graduate of Georgetown University and of Columbia University’s M.F.A programme in fiction. In 2007 the National Book Foundation named him a “5 under 35” honouree, and in 2012 he was selected as a MacArthur Fellow. Dinaw has written four novels: The Beautiful Things That Heaven Bears (2007); Children of the Revolution (2007); How to Read the Air (2010); and All Our Names (2014). An active journalist, his work has appeared in various publications, including Rolling Stone, The New Yorker and The Wall Street Journal. Alain Mabanckou is a Francophone Congolese poet and novelist of six volumes of poetry and six novels, and in 2012 won the Grand Prix de la Littérature. He is also the recipient of the Subsaharan African Literature Prize and the Prix Renaudot. His previous books include African Psycho, Broken Glass, Memoirs of a Porcupine and Black Bazaar. In 2015 he was listed as a finalist for the Man Booker International Prize. Alain currently lives in LA, where he teaches literature at UCLA. Ahmed Rajab has worked for the BBC World Service, Index-on-Censorship, Africa Events, the seminal Africa Analysis (which he edited for 20 years) as well as UNESCO. From 2006-2009 he was Head of Newsroom (Middle East/Asia Bureau in Dubai) for IRIN, the then UN humanitarian news agency. In addition to being a regular columnist for Tanzania’s premier weekly Raia Mwema, he now works as a consultant and is affiliated to the Kaduna-based Gusau Institute. Ahmed also writes poetry and his work is included in the anthology African New Voices (Longman, 1997). Lola Shoneyin is a Nigerian writer, whose published work includes poems and children’s books. Her debut novel, The Secret Lives of Baba Segi’s Wives, was published in 2010 and went on to win the 2011 PEN Oakland/Josephine Miles Literary Award, and the 2011 Ken Saro-Wiwa Prose Prize. Shoneyin is the Director of Ake Arts and Book Festival, an annual literary and cultural event that supports and celebrates artistic and cultural innovation in Africa, on African soil. She is also the creative director of the new Kaduna Book and Arts Festival which first took place in Kaduna State, Nigeria, earlier this year. Henrietta Rose-Innes is a South African author based in Cape Town. She has published four novels and a collection of short stories, and is currently completing a fifth novel, Stone Plant, due in 2018. Her work has been widely published and translated into several languages, with her novel Nineveh winning the 2015 François Sommer Literary Prize in French translation. In 2012, her story ‘Sanctuary’ took second place in the BBC International Short Story Competition. A shortlistee for the Caine Prize in 2007, Henrietta was awarded the 2008 Caine Prize for her story ‘Poison’, which also won the Southern African PEN Literary Award. The deadline for submissions to the 2018 Caine Prize, which is done by publishers, is 31 January.